Year 2008: Possible Conclusions for Ukrainian Financial Markets. 21st Conference of the Ukrainian Investment Business Association. Kyiv, February 2009. World Crisis: Lessons for Ukrainian Financial Market (How to Create Market Based on Right Incentives). XI International Forum of Ukrainian Capital Markets. Alushta, September 2008. IPO: Cost and Benefits. International conference "IPO of Ukrainian companies". Kyiv, November 2007.
Business Valuation for M&A Transactions. Yearly Conference of Ukrainian Appraisers’ Society. Yalta, September, 2007. IPOs: Trends of 2007. X International Forum of Ukrainian Capital Markets. Alushta, September 2007. Why Ukrainian Venture Funds Need International Standards. 19th Conference of the Ukrainian Investment Business Association. Yalta, June 2007. Private Equity and Venture Capital Investments in Ukraine: Five Reasons to Consider and Five Remaining Problems to be Transformed into Opportunities. Investment in Ukraine: Ukrainian National Exhibition in USA. Chicago, December, 2006. World IPO Trends and Prospectives of Ukrainian Financial market in Competition for an Issuer. IX International Forum of Ukrainian Capital Markets. СAlushta, September 2006. Prospects of Ukrainian IPOs. International Investment Forum “Energy of Growth”. Kyiv, August 2006. Ukrainian Private Equity and Venture Capital Industry: Current Problems and How To Overcome it. 18th Conference of the Ukrainian Investment Business Association. Yalta, June 2006. How to price illiquid security? 18th Conference of the Ukrainian Investment Business Association. Yalta, June 2006. IPO and Strategic Development of a Company. Conference “Attracting Capital for Development of IT Companies”, Kyiv, April, 2006. Exchange Competitiveness: Will Ukrainian Stock Market Survive? VIII International Forum of Ukrainian Capital Markets' Participants. Alushta, September 2005. Evaluation of the Portfolio's Performance: Necessity of Industry Standards. 17th Conference of the Ukrainian Investment Business Association "Asset Management: Risks and Opportunities". Yalta, June 2005. Internal Credit Risk Models: International Experience and Possibilities of Applications in Ukrainian Environment. Annual Forum "Strategies of Financing and Asset Management - 2004". Kyiv, 2004. Peculiarities of practical evaluation of investment projects with real options. Yearly forum «Strategies of Financing and Asset Management». Kyiv 2004. Private Equity and Venture Capital Investment in Developed Countries and Emerging Markets: Tendencies and Differences. International Conference "Practice of the Venture Capital Activity: Russian and Ukrainian Experience". Kyiv: International Institute of Business, September 2004. Selected Issues of Asset Management in Non-Government Pension Funds. 16th Conference of the Ukrainian Investment Business Association "Asset Management: Strategies and Risks ". Yalta, June 2004. Investment of Pension Assets and Development of Ukrainian Financial Markets. International Conference "Pension System in Post-Socialist Countries: Achievements, Mistakes, Tasks". Kyiv, October 2003. Mergers and Acquisitions: Causes of Failures and Evaluation of Efficiency. 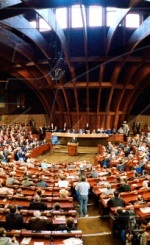 Annual Forum "Financial Director - 2003". Kyiv, 2003. Valuation of Bonds with Embedded Options in Ukrainian Market. 2nd East-European Risk Management Forum. Kyiv, 2003. Introducing Commodity Derivatives in a Transition Economy. International Seminar "Commodity Derivatives in Ukraine and International Practice of Commodities Trading". Kyiv, 2002. The Value of a Company as a Product of Harmonization of Interests: Tendencies of Ukrainian Model. V International Forum of Ukrainian Capital Markets' Participants. Foros, September 2002. Development of Collective Investment Industry and Necessary Changes in the Law. 14th Conference of the Ukrainian Investment Business Association "Investment in Ukraine: Business Development Outlook ", Partenit, 2002.
International Bond Markets: Possible Lessons for Ukraine. IV International Forum of Ukrainian Capital Markets' Participants. Foros, September 2001. Stochastic Quasi-Gradient Techniques in VAR-based ALM models. International School on Mathematical and Statistical Applications in Economics. Vasteras, Sweden, January 2001. Issues in the Interaction of Capital Market Participants and Privatized Enterprises. 11th Conference of the Ukrainian Investment Business Association "Investment Business in Ukraine: Problems and Prospects ", Partenit, 1999.
Financing and Corporate Governance. II International Forum of Ukrainian Capital Markets' Participants. Foros, September 1999.